We are about to complete on another business loan for a client, the second commercial loan arranged in recent weeks. This one will enable a business acquisition, the previous one was to improve cash flow and enable the purchase of materials for an IT project. Both loans are sizable lends, circa £100K each. One is over a 5 year term secured by way of a personal guarantee only, due to the strength of the company itself. The other is secured against a director's property, over a 10 year term (the term is the period over which the loan is repaid). 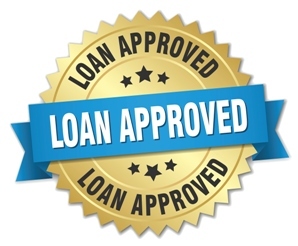 Smaller, or larger levels of lending can also be arranged. We use specialist partners which are experts in the field of commercial loans, which gives our clients an alternative to debtor finance. This can be attractive to companies that don't want to go down the invoice finance route. Existing users of factoring or invoice discounting may wish to consider using a commercial loan as an exit strategy from invoice finance, so we have that option available. As an alternative to a standalone commercial loan, several of our invoice finance partners now offer top up cash flow loans for factoring or invoice discounting users. These operate in addition to your existing factoring or discounting arrangement, by increasing the total amount of funding that you have available to your business. This type of "top-up finance" can be used to ease temporary cash flow pressures, or for one off purchases, and they are similar to an overpayment on your invoice financing account. A cash flow loan is for a fixed sum, repaid over a fixed term, in a similar way to how a commercial loan would be structured. For more details please call Sean on: 03330 113622 or request a call about how to get a business loan.